We thank the city for adopting the Complete Streets Policy in 2017 and respect you for re-affirming your support for this safety project in a recent council meeting. Now we expect you to implement it, and we have two final points to offer you. First, we hope you see the three significant differences between the Columbia Complete Streets project you voted to delay for a year and this pilot project, the East McLoughlin Safety Improvement Project. 1) Public Outreach: Staff listened to the public and significantly revised the McLoughlin plan after public feedback. Parking was restored to the entire south side of the street, Grand to Brandt, as some residents wished. 2) Consideration of other streets: While some people thought other streets should be further explored for Columbia, a 365-day delay to look for alternative streets is unnecessary for this project since there aren't any. Mill Plain? No. 13th Street? No. It is a steep hill with cobblestone pavement that people can barely drive, much less walk or bike. Planning staff considered 13th Street and rejected it. McLoughlin is the only viable street. *Second – crosswalks with flashing beacons for people crossing the street at the intersections of McLoughlin at 13th Street (the first curve) and McLoughlin at 32nd Avenue (another curve). Protected bike lanes in the project complete the goal of safety for all people by narrowing the street which we know slows people driving their cars. McLoughlin would have designated places for all of us to be safe, making it less confusing and dangerous whether we are driving, riding, or walking. These significant differences make any delay for McLoughlin inappropriate. Our second goal is that you see us as human beings who will benefit from these safety improvements. We are more than the mode of transportation we’re using. We are volunteers and engineers, grandmas and dads, gardeners and musicians, animal lovers and business owners, neighbors and coworkers, young and old. We are the city’s supporters of progress and ideas, and we appreciate innovative projects in our city’s present and future. We humans all share the same transportation goals: to get somewhere and then to arrive back home. Safely. You have the power and the responsibility to help us do that. Planners have done their jobs well. Now we look to you to do the same. Chris White - network architect and supporter of improving my home, the Couve! 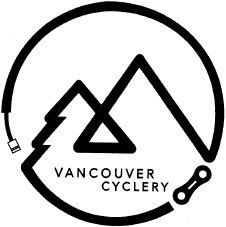 Gary Stark - love bicycling in friendly Vancouver. Here is hoping the city continues its good work. Harry Schellhous - I retired after 43 years with Hilborn Fuel Injection and moved to Vancouver for a safe retirement as a great-grandfather. I’m 94 years old and still enjoy riding my bike. Judy Boyle - love my ShihTzu, Bentley, tap dancing, biking, and baking. Hate yard work, but I do it. Rodger Lance - retired insurance agent. Please help to prevent collisions. Give us bike lanes. Wednesday, January 9th at 7 pm! Join us to celebrate and recap 2018 and look ahead to 2019. We'll recognize our ride leaders and give out awards for exceptional member contributions! Food (Pizza), fun and fellowship with your buddies. Not yet a member? Join us to find out more and get a sense of what we're all about! Wednesday, November 14th at 7 pm! We'll have Jennifer Campos from the City of Vancouver join us to talk about several exciting projects coming up. We'll also have an opportunity to contribute our hopes for our club's direction in 2019. What opportunities can you imagine for us? Come hear our plans and share your thoughts on how we can make this another great year! Food, fun and fellowship with your buddies. Not yet a member? Join us anyway! Club Gathering Wednesday, September 19th! Join us for a great evening on Wednesday, September 19th at 7pm. Not yet a member? Join us anyway! Join us for an informative and entertaining evening with pulitzer-prize winning author Daniel de Visé! The Comeback chronicles the life of one of America’s greatest athletes, from his roots in the windswept hills of Nevada's Washoe Valley to the heights of his global fame at the Tour de France. With a swift narrative drive and fierce attention to detail, Daniel de Visé reveals the dramatic, ultra-competitive inner world of a sport rarely glimpsed up close, and builds a compelling case for LeMond as its great American hero. “The Comeback is an eye-popping ride, sweeping the reader through the extreme eccentricities of endurance cycling. But the heart of the story, the charismatic spirit and re-crowning of America’s authentic cycling champion Greg LeMond, is what makes you cheer through the pages.” -- Diana Nyad, author of Find a Way and the only person to swim between Cuba and the United States. "Greg LeMond was Lance Armstrong before Lance Armstrong--and he won his three Tours de France WITHOUT cheating. The Comeback is the story of a true hero and his remarkable comeback to win arguably the most dramatic Tour de France in history. This is a must read if you believe in miracles." -- John Feinstein, bestselling author of Season on the Brink and The First Major. “Once in a blue moon a sports book comes along appealing to a such a broad audience that it becomes a perennial favorite of neighborhood reading groups--Boys in the Boat and Seabiscuit being prime examples. Now make way for The Comeback by Daniel de Visé, a superbly well-crafted narrative. 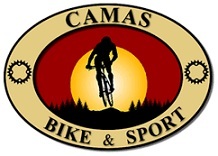 For devotees of the sport of bicycle racing, and for those with little knowledge of it, this book will satisfy in every way.” -- Paul Dickson, author of Bill Veeck and Leo Durocher. “Greg LeMond is an American sporting hero whose story would surely be rejected by Hollywood as too fanciful. It includes taking on and beating the French at their own game, a near-fatal shooting, a career in apparently terminal decline, an extraordinary comeback, and a bitter feud with his successor. Remarkably, it’s all true, and The Comeback is the first book to document the full LeMond story in all its astonishing, scarcely credible detail.” -- Richard Moore, author of Slaying the Badger and host of The Cycling Podcast. "Daniel de Visé has written a gripping account of what is widely considered to be the greatest finish in Tour de France history. His meticulously researched story of the professional and personal life of LeMond is enhanced by compelling descriptions of the cast of heroes and villains who built him up….. and tried unsuccessfully to tear him down." -- Bob Bowen, president of the U.S. Bicycling Hall of Fame. "Daniel de Visé explores one of cycling’s epic duels, on the final day of the 1989 Tour de France when America’s Greg LeMond had recovered from a life-threatening shotgun blast to score a heroic come-from-behind triumph over France’s Laurent Fignon. 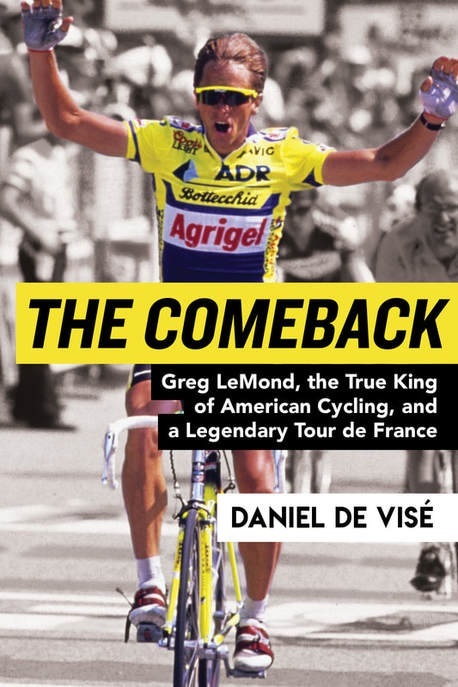 In The Comeback, de Visé portrays the complex personalities of LeMond and Fignon in a narrative freighted with nuanced analyses, thorough research, and a narrative that rocks." -- Peter Joffre Nye, cycling historian, author of Hearts of Lions and The Fast Times of Albert Champion. Join us for a great evening on Wednesday, June 20, 7pm. Not yet a member? Join us anyway! Joe “Metal Cowboy” Kurmaskie presents the unbelievable but true story of cycling's female Jackie Robinson meets Inglorious Bastards. A racing phenom and record breaker barred from racing head to head with men and fulfilling her dream of competing in the Tour de France. Evelyn fought sexism, actual Nazis and her own ambitions to become a war hero and a beacon of humanity. A blazing equality pioneer and champion on and off the bike. The long, untamed life of Evelyn Hamilton was nearly lost to the sands of time, until one photo set author and travel adventure writer, Joe Kurmaskie on a global literary treasure hunt. Four years later his screenplay's been optioned by Alsea Entertainment, and book in progress completed and set for a 2019 release. Join us for a great evening on Wednesday, March 14, 7pm. Not yet a member? Join us anyway!